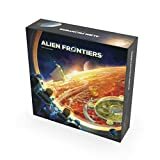 Alien Frontiers is a game of resource management and planetary development for two to four players. 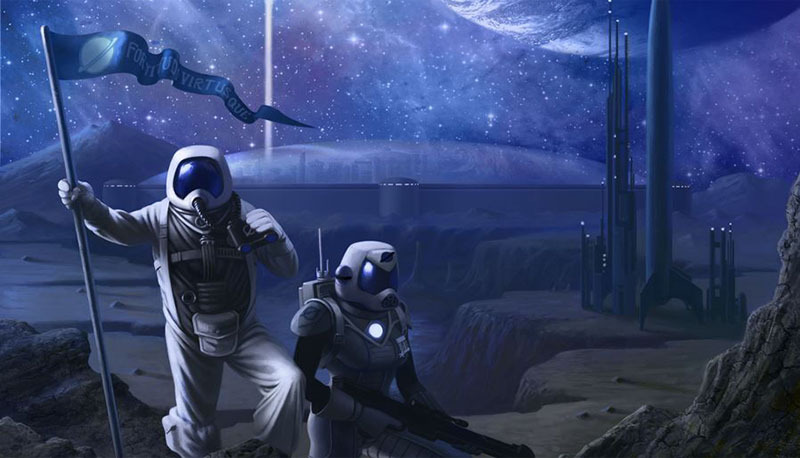 During the game you will exploit orbital facilities and alien technology, building colony domes in strategic locations to control the newly discovered world. The game board shows the planet, its moon, the stations in orbit around the planet, and the solar system's star. The dice you are given at the start of the game represent the spaceships in your fleet. You will assign these ships to the orbital facilities in order to earn resources, expand your fleet, and colonize the planet. 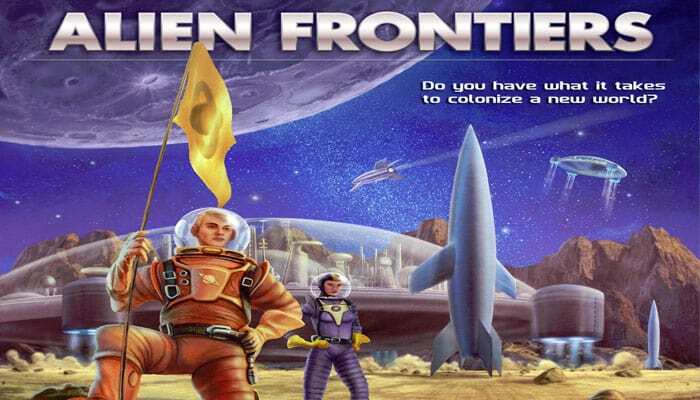 As the game proceeds, you will land your colonies on the planet to control its territories. Tach territory carries a particular benefit and, if you control a territory, you are able to use that influence to your advantage. The planet was once the home of an alien race and they left behind a wondrous artifact in orbit. Using your fleet to explore the artifact, you will discover amazing alien technologies that you can use to advance your cause. 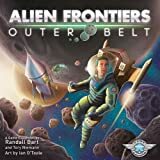 Winning the game will require careful consideration as you assign your fleet, integrate the alien technology and territory bonuses into your expansion plans, and block your opponents from building colonies of their own. 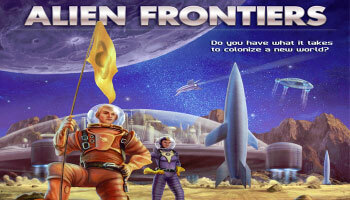 Do you have what it takes to colonize a new world? 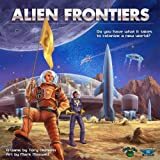 Gaining more influence over the Alien Frontier (measured in Victory Points) than your opponents by building colonies and controlling territories. 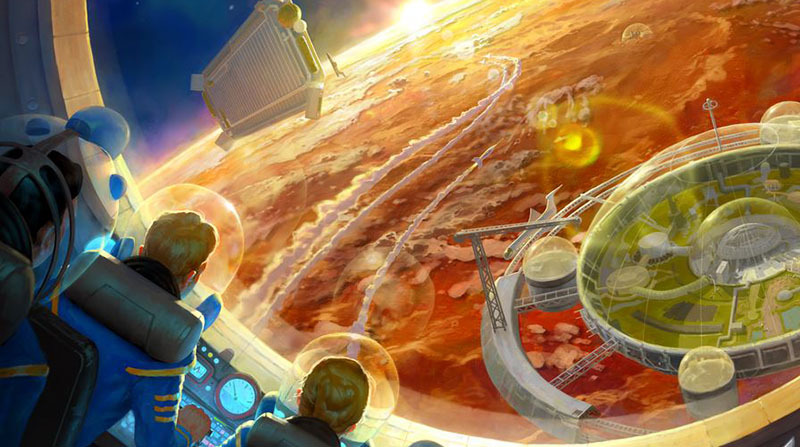 Surrounding the planet are the orbital facilities you will use to earn resources, expand your fleet, and land colonies. You may not dock ships at an orbital facility unless docking ports are available and you can meet both the ship and cost requirements. Each territory grants its controlling player a bonus over some aspect of the game. A player controls a territory if they have more colonies on that territory than any other single player. The controlling player takes the territory counter. Example: Red has two colonies on Lem Badlands and Green, Yellow, and Blue each have one colony on Lem Badlands. Red has the most colonies on the territory so Red controls Lem Badlands. The three field generators alter the rules within the territory where they are located and, where there is a conflict, take precedence over alien tech card effects. The Isolation Field nullifies a territory's bonus. 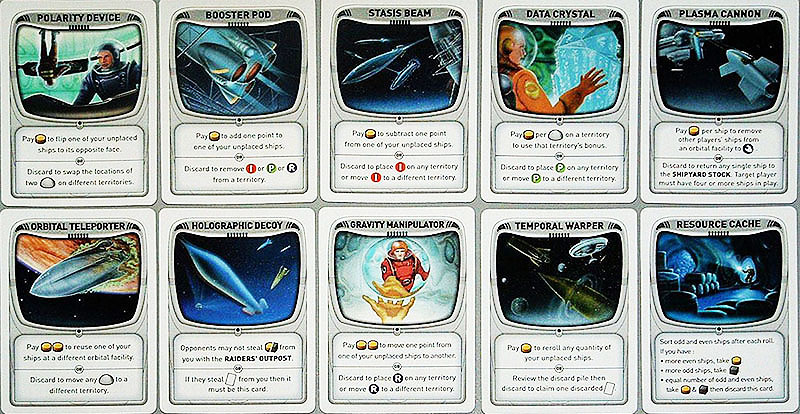 The first player to discard a Stasis Beam card will place the Isolation Field counter on a territory of their choice. Any subsequent player who discards a Stasis Beam card will move the counter to another territory. The alien tech cards allow you to bend the basic game rules. Most alien tech cards may be used immediately after you acquire them. Alien tech cards that require a fuel payment can only be used once per turn. You may only discard an alien tech card you have not already used on your current turn and then only one discard per turn.